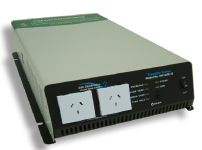 Pure Sinewave Power Inverters supply a stable Sinewave 240V AC output from either a 12V or 24V DC input. Suitable for delicate electronic equipment. RC-SW (Sold Separately) Remote Control (On/Off) suits SW650, SW1200, SW1800 and SW3000. 12V and 24V Models.